Using Google Analytics to measure Instagram is a great way to link engagements to sales. Instagram provides the most engagement out of all the social networks I use. As soon as I post an image, I immediately check the number of engagements. I find myself holding my cell phone glaring at the number of likes growing in real-time. I’m sure you can attest to this habit and use it as a way to measure your Instagram activity. When attributing these engagements to conversions, there is a better way to measure Instagram. If you use Google Analytics for measuring your website’s online traffic, you can certainly use Google Analytics to measure Instagram engagements as well. But the first thing you must do is determine your reason for using Instagram and set your KPIs. Here’s what can you measure? Visitors to a website or campaign site – traffic and referrals being generated from social media and other sites to help you evaluate your visitors. Sales linked to Instagram- use Google Multi-Channel Conversion Reports to measure this. Tip: Use attribution reports in Google Analytics to measure Instagram contribution. They are the easiest way to find the impact of Instagram on leads and sales. You can review ‘last click’ conversions and also ‘assisted conversions’ where a visitor is referred from Instagram initially but generates a lead or a sale on a later visit referred from other media such as search. In essence, you are searching for which channel (i.e.Instagram) is converting your customers. Google Analytics Social Media Reports (available from Traffic Sources > Social) and Multi-Channel Funnel feature (shown in the video) can help you isolate the contribution you are getting from Instagram. Tip: Look at trends to set targets to grow the Total visits and sales from the channel. Show the ‘last click’ conversions from each network that lead to conversions on the visit. You can also see where conversions may have been influenced based on previous visits from social networks by viewing ‘assisted conversions’. 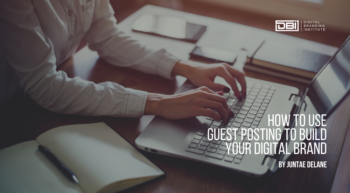 Ultimately, comparing the relative Total visits and assists from different social networks can help you decide where to best put your efforts. To get an even more accurate view of Instagram conversions, the Google URL builder tool can help you tag your links before posting them in your Facebook or Twitter updates. Have you used Google Analytics to measure Instagram? What did you uncover from this? Let me know in the comments below.